The blade of this jambiya is double-edged, with double grooves and ridge and of curved, watered steel. 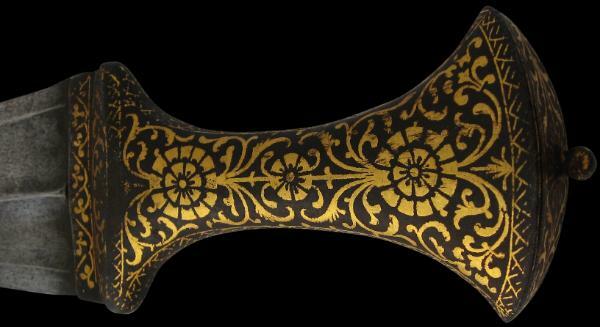 The waisted hilt is entirely covered in gold overlay in floral and foliage patterns (some wear to the gold-work near to the blade.) 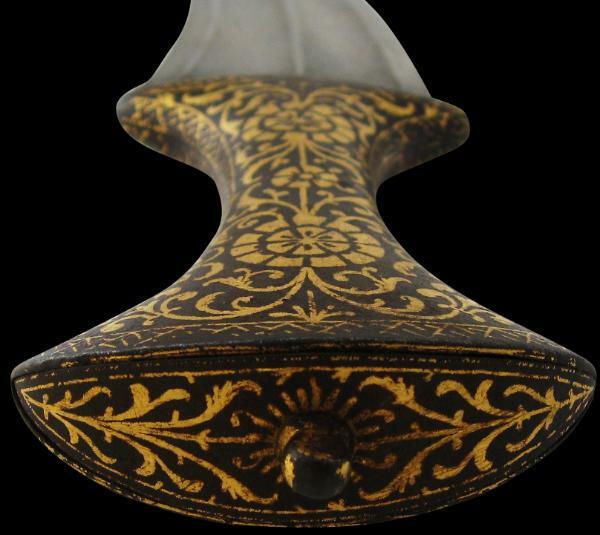 The pommel is rounded and also decorated with gold overlay. The rounded pommel finial is also gilded. The green velvet covered wooden scabbard has a metal chape and an attached leather belt band.